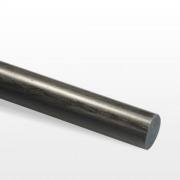 Square fiber carbon tube, outer (50x50 mm.) - interior (46x46mm.) 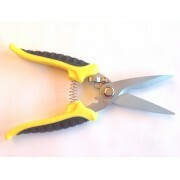 - Length 1850 mm. TWILL SARGA 2X2 THICKNESS: 2 mm. TWILL SARGA 2X2 THICKNESS: 2 mm. 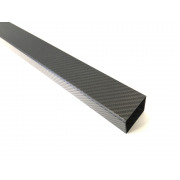 Square fiber carbon tube, outer (50x50 mm.) - interior (46x46mm.) - Length 925 mm. Two-sided carbon fiber plate GLOSS - 1000 x 800 x 10 mm. GLOSS CARBON FIBER PLATE TWO FACES VIEWS SIZE: 1000mm. X 800mm. THICKNESS: 10mm. GLOSS CARBON FIBER PLATE TWO FACES VIEWS SIZE: 1000mm. X 800mm. THICKNESS: 10mm. 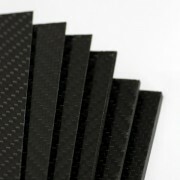 Two-sided carbon fiber plate MATTE - 1000 x 800 x 10 mm. 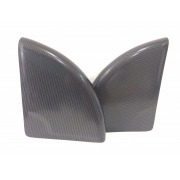 MATTE CARBON FIBER PLATE TWO FACES VIEWS SIZE: 1000mm. X 800mm. THICKNESS: 10mm. MATTE CARBON FIBER PLATE TWO FACES VIEWS SIZE: 1000mm. X 800mm. THICKNESS: 10mm. Two-sided carbon fiber plate GLOSS - 1000 x 800 x 8 mm. GLOSS CARBON FIBER PLATE TWO FACES VIEWS SIZE: 1000mm. X 800mm. THICKNESS: 8mm. GLOSS CARBON FIBER PLATE TWO FACES VIEWS SIZE: 1000mm. X 800mm. THICKNESS: 8mm. 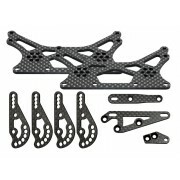 Two-sided carbon fiber plate MATTE - 1000 x 800 x 8 mm. MATTE CARBON FIBER PLATE TWO FACES VIEWS SIZE: 1000mm. X 800mm. THICKNESS: 8mm. MATTE CARBON FIBER PLATE TWO FACES VIEWS SIZE: 1000mm. X 800mm. THICKNESS: 8mm. Carbon fiber tube sight mesh (15mm. external Ø - 12mm. inner Ø) 1000mm. MESH VIEW CARBON FIBER TUBE SIZE: 1000mm. x (15mm. outside /12mm. inside) THICKNESS: 1,5mm. 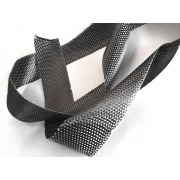 MESH VIEW CARBON FIBER TUBE SIZE: 1000mm. x (15mm. outside /12mm. inside) THICKNESS: 1,5mm. Spring, push-button, metal strap or clip for joining tubes. Diameter button: 8 mm. 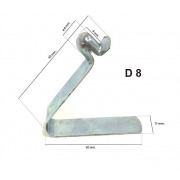 Spring, push-button, metal strap or clip for joining tubes. Diameter button: 8 mm. 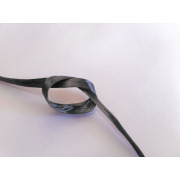 Flat tape of carbon fiber of 50 mm. Carbon fiber rod. ø 5mm. x 1000mm. 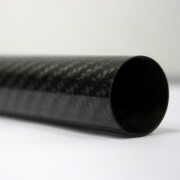 Carbon fiber rod. ø 2,5mm. x 1000mm.